Sand cake, old german style pound cake. Sand cake, starts by beating together one cup softened butter and 1 cup sugar till well blended. Then add 3 whole eggs, one at a time. Then add 3/4 cup of sifted flour and 3/4 cup of potato starch. Finish off the batter with 1 tsp of vanilla and 1/2 tsp grated lemon peel. Pour into prepared loaf pan and bake at 350 degrees. Bake for 45 to 60 mins. Test doneness with a toothpick. 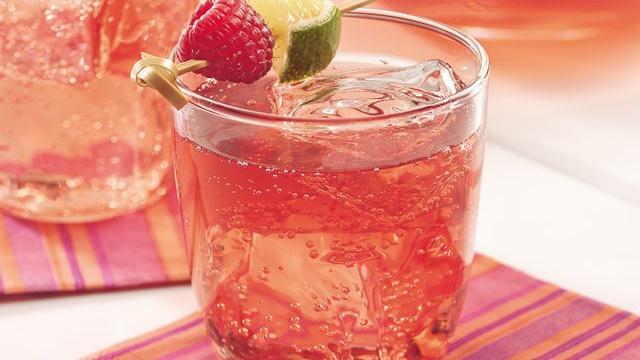 Enjoy with strawberries or some fruit and whipped cream. Store in airtight container in the fridge. This recipe requires a 10-inch oven proof pan, I used a cast iron skillet when I made this recipe and it turned out great. Batter: 1/2 cup all-purpose flour (about 2 1/4 ounces), 1/2 teaspoon baking powder, 1 tablespoon granulated sugar, 1/8 teaspoon salt, 1/8 teaspoon grated whole nutmeg (using fresh is always better), 2 large eggs, 1 cup milk, 2 tablespoons butter (melted), 1 teaspoon vanilla extract. Apple mixture: Cooking spray, 1/2 cup granulated sugar (divided), 1/2 teaspoon ground cinnamon, 1/2 teaspoon grated whole nutmeg, 1 cup thinly sliced Granny Smith or other firm tart apple. Remaining ingredients: 1 tablespoon powdered sugar. Prepare batter, lightly spoon flour into dry measuring cup; level with a knife. Combine flour, baking powder, 1 tablespoon granulated sugar, salt, and 1/8 teaspoon nutmeg in a medium bowl, stirring with a whisk. Combine eggs, milk, butter, and vanilla in a small bowl, stirring with a whisk. Let stand 30 minutes. 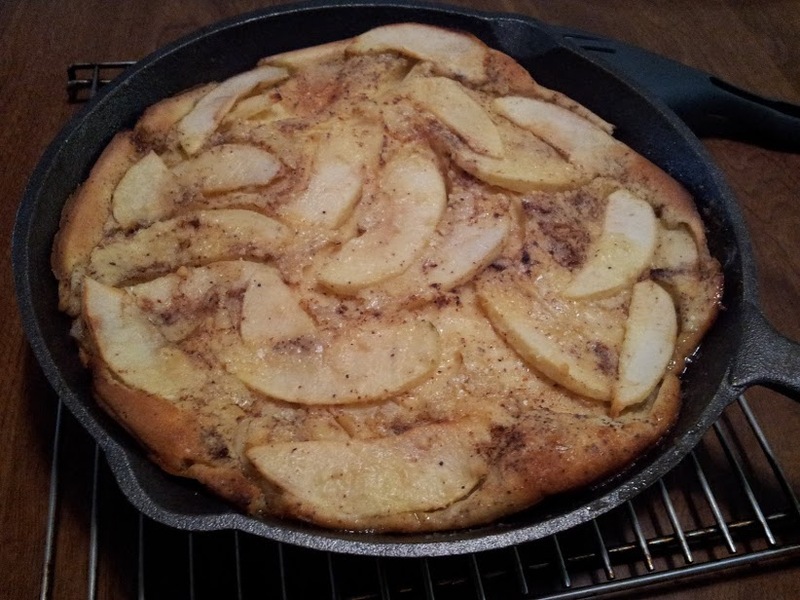 Prepare apple mixture, coat bottom and sides of a 10-inch ovenproof skillet with cooking spray. Combine 1/4 teaspoon nutmeg; sprinkle evenly over bottom and sides of pan. Arrange apple in even spokelike layer in pan. Sprinkle remaining 1/4 cup sugar. Cook over medium heat 8 minutes or until mixture bubbles. Slowly pour batter over apple mixture. Bake at 425 degrees for 15 minutes. Reduce oven temperature to 375 (do not remove pancake from oven); bake an additional 13 minutes or until center is set. Carefully loosen pancake with spatula. Gently slide pancake onto serving platter. Sift powdered sugar over top. Great quick and easy warm snack for 6. Ok say you have the new Pillsbury Crescent sheets, smooth out the sheet. Add some butter, a little brown sugar and cinnamon. Then some raisins and nuts, roll it up and slice. put into pan and bake at 375 degrees for about 15 mins. A little snack for anytime. Something quick and yummy…with store refrigerated biscuits. 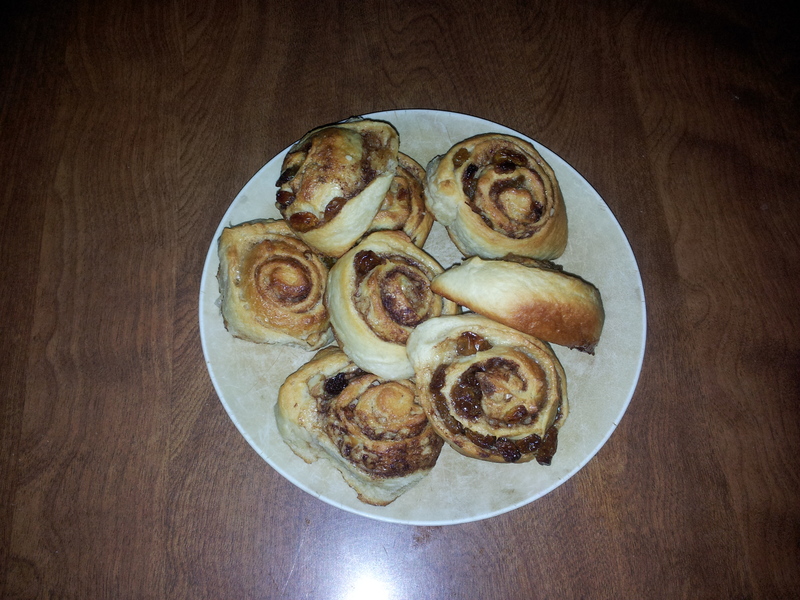 I’ve talked about making things with Pillsbury rolls but now for something else yummy and easy. 2 Tablespoons & 2 teaspoons water. Grease a 9″ cake pan set aside. 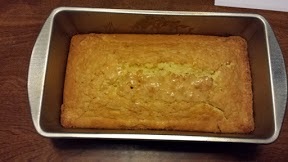 In a small sauce pan, melt brown sugar, butter and water together till nice and mixed and smooth. Cut each biscuit into four pieces and roll them in the brown sugar mix with spoon and place in the cake pan. Bake at 450 degrees for about 10-15 mins. Remove from oven let rest about a min then flip over onto a plate and hand everyone a fork. be sure to let it cool before you start popping them into your mouth. Oven preheated to 350 degrees. Put parchment paper on a backing sheet. Separate the biscuits and place a few morsels and say about 1/2 tsp, jam in the center and then press the edges shut. Sprinkle top with little sugar. Then back about 12-14 min. Serve warm. Not much work but they are yummy. 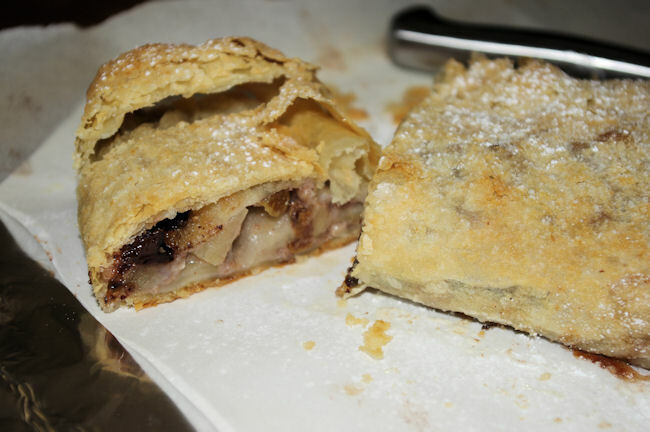 Strudel…..Hey this didn’t take long. Well we used to say you had to spend hours in the kitchen making strudel, well not anymore unless you really want to. This is something I make every Christmas for my friends and family and now I’m going to share it will all of you and a couple fun changes. Ingredients: 1 pkg Pepperidge Farm Frozen Puff Pastry Sheets, 4 to 6 granny smith apples-peeled cored and sliced thin, 4 Macintosh apples just like the others, 2 sticks of butter melted for brushing on pastry sheets, 1 1/2 cups dry bread crumbs browned in 4 tbsp butter, 1 cup chopped walnuts, 1/2 cup golden raisins, soaked in warm water & 1/4 cup spiced rum for 15 mins and then drained, 2/3 cup sugar, 1/4 tsp cinnamon, 1/4 tsp cloves, 1/4 tsp allspice, 1 1/2 tbsp fresh lemon juice, 1 tsp lemon peel, 1 tbsp orange peel, 4 tbsp spiced rum, 1/2 cup heavy cream. Instructions: Thaw pastry sheets 20 mins. Cut apples place in water and lemon juice until ready to mix all the dry ingredients together. Roll them out thin (about 1/4 inch). Sprinkle dough with butter, then leaving about 1 inch border. Drain apples and add all the dry ingredients together. Add raisins, rum and cream to mixture. Use enough of mixture to cover one third of the pastry sheet. Carefully roll up the strudel. Brush off excess flour. Take a brush and coat outside with butter. Place on parchment paper sheets on baking sheet. Bake at 350 degrees for 30 to 40 mins, basting occasionally with butter. The strudel is done when it is golden brown. Let cool, add confectioners sugar over the top. Now if you like the pastry cup shells, take the apples, spices about 2 tbs brown sugar, bread crumbs, rum and little cook them in a skillet. Then take some mascarpone cheese withed with a little sugar, line the bottom of pastry shell with tat and then cover with apple mixture and them a little mascarpone on top. The one in the picture has Dark Chocolate bits and Toffee bits in it. Not much time and still so delicious. Master Chef magazine hits newstands and having fun with a quesadillas! Taste of Home has a new magazine: Master Chef, yes it was inspired by the TV show. It has lots of recipes as well as interesting articles on chefs. If it continues at the pace of it’s premiere issue this looks to be promising new magazine. The cover of the issue had a Berry Tartlet created by Gorden Ramsey, but the fruit is what we were all looking at. 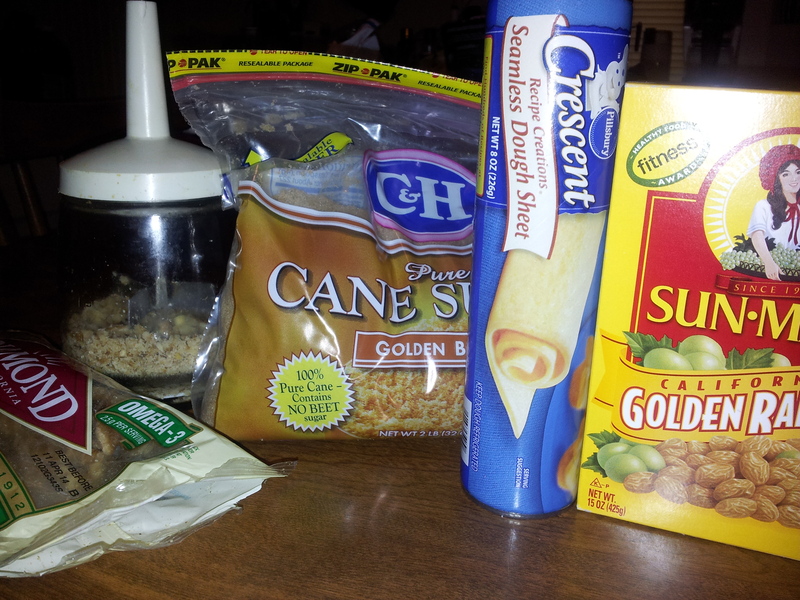 Flour Tortillas, peaches, or pears or even nectarines, softened cream cheese, cinnamon, brown sugar, maybe even chocolate. Put the cream cheese on one side of the tortilla add cinnamon or any other seasons you like with the fruit you have chosen. Lightly sprinkle brown sugar, and add slices of fruit to one side along with a little chocolate chips if you desire. Fold in half and place in a lightly greased skillet, heat on low remove when chocolate has melted don’t over cook tortilla. Little brown is good, and a little whipped cream and there you have it. Something refreshing for the end of summer. This recipe can also be made with apples as well.We found a number of recipes with brie and regular cheese as well. Get into that kitchen and have a little fun. We hope they continue with the Master Chef magazine, with the interesting recipes it can expand your creativity too, promoting everyone into the Master Chef of your household.